What are your plans for the weekend? In that organizing mood? I'd love to know how many of those plastic tubs are sold during January. Today I saw a display of them in very fancy colors. Personally, I like the clear ones so I can see what's inside. I guess I could label them and then it wouldn't be necessary to open each one to find my summer clothes. My new goal is things I'm not using get it out the door rather than squirreled away in the basement. We'll see! I think it feels good to have some routine back again after the holidays. Back from the free fall of sweets and dips. Don't get me wrong, it's still winter and comfort food is still very welcome. Now it's time for slow roasting, nice smells and healthier options. There's comfort food, and then there's great comfort food. What could possibly be better than creamy, sweet baked apples? This is an Around My French Table recipe, by Dorie Greenspan. As you know, I love simple, yet a little fussy recipes. I think you'll love this one. Why? 1. You get to use ramekins. You know you love them. 2. You get to use your mandolin. Promise, promise, promise you won't use it without the guard. 3. You'll practice your apple peeling. 4. 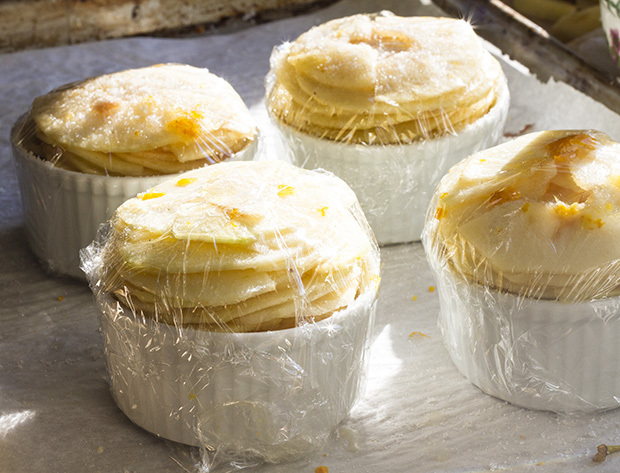 You'll bake with plastic wrap. Something I did in Paris and thought I'd never do again. It works, really! 5. The result is a delicious apple dessert -so creamy and rich, it's almost like custard. It's well worth the fussy preparation. The recipe is actually pretty simple, just a little time consuming. Peel, core and slice apples. I used Fuji and they were a really nice texture and flavor. Be sure they're sliced very thin. Then layer the slices with melted butter, and sugar that has been spiced with ginger and orange zest. I skipped the ginger and used nutmeg instead. The slices fit perfectly into the ramekins and towered over the top. 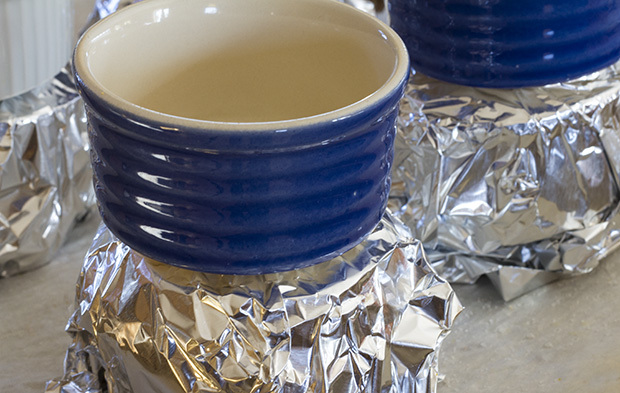 Then, wrap the ramekin in plastic wrap, then foil. Make a few puncture holes in the top and cover with another ramekin to provide just a little pressure to the apples while they bake. Now, find a good book - or a closet to clean. The apples will bake for two hours at 300 degrees F. After they're baked, let them cool all wrapped up for 15 minutes or so, then carefully unwrap them. It's amazing! When I make these again, I'm going to turn the apples out on to a plate and serve them with a dollop of creme fraiche. It's always a perfect match with apples. 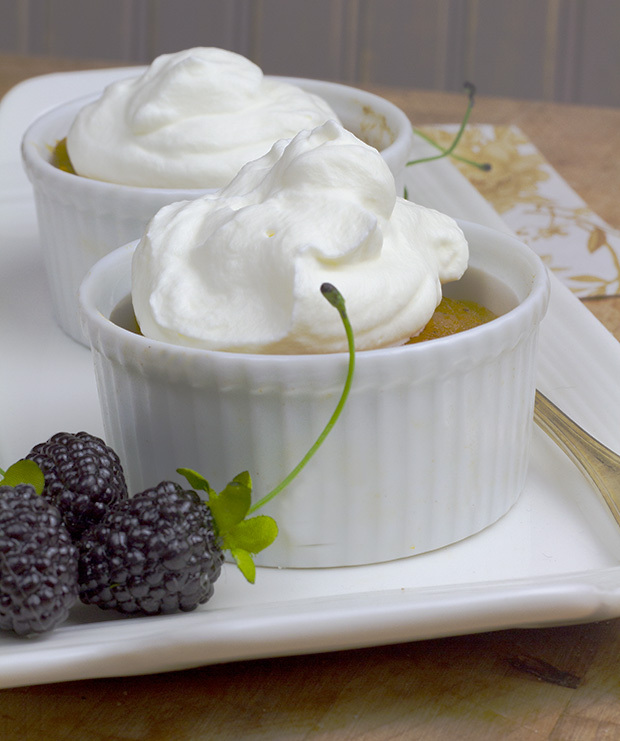 Do you know how to make creme fraiche? It's very easy, but requires a little planning. Mix together, and allow to set uncovered at room temperature overnight ( or about 8-12 hours). You can use it right away or stir, cover and chill. The mixture will continue to thicken and become more tangy. You can keep it up to about 2 weeks in the refrigerator. If you don't need so much, feel free to divide the recipe and only make a half batch. Stayed tuned everyone! I'm heading to Paris and will try to send you photos and do a few blogs posts. Is there anything you'd like to see or read about while I'm there? 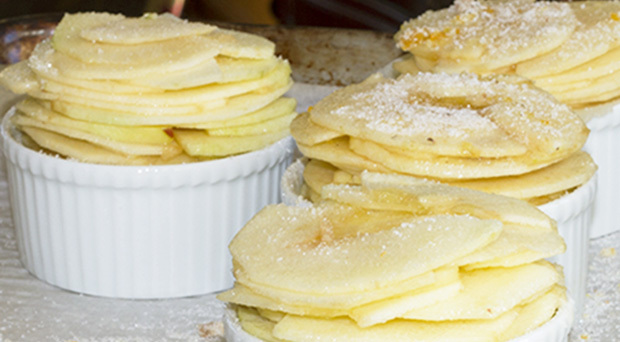 What a nice coincidence that next week's Around My French Table recipe in a French Apple Tart. Tres Bien!